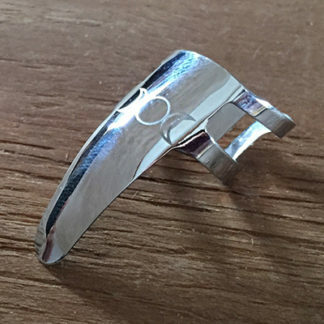 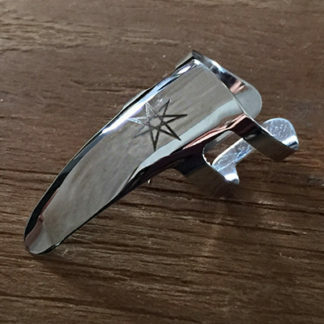 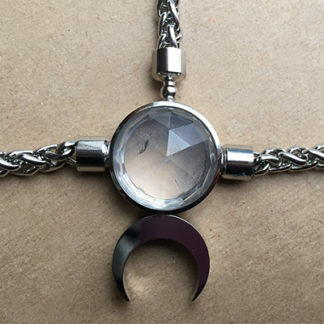 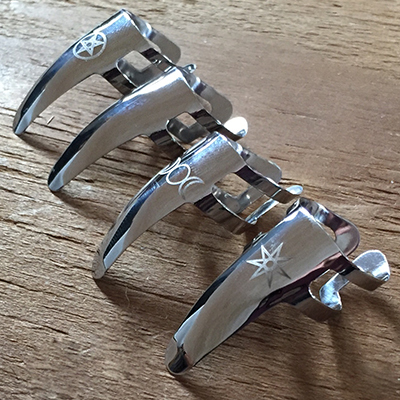 Quartz granule infused stainless steel finger pick/nail ring with triple moon design. 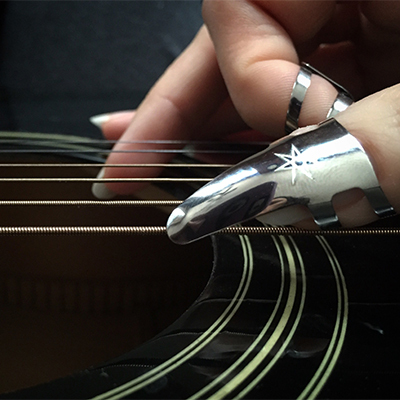 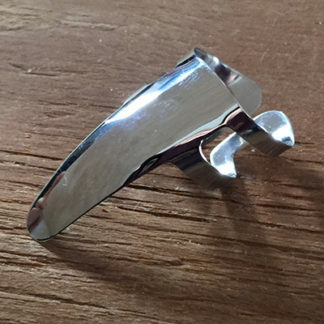 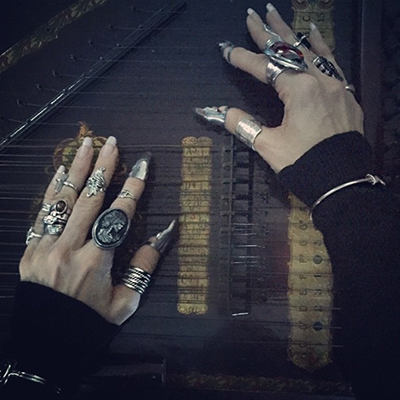 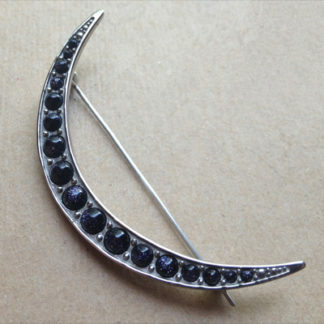 For playing stringed instruments or wearing as a nail ring. Adjustable fit.